I know, I know, it’s either announced that it’s going to be a heatwave or a washout and often turns into a somewhat of a middling to drizzling summertime; but this year is going to be different! Or so Positive Weather Solutions announces today. It’s a company that has ‘out-forecast’ Met Office figures over the last two years. 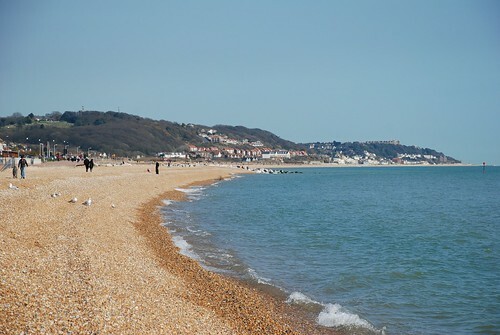 A two week heatwave is predicted at the start of August when temperatures could be higher than the current record held in Kent of 38.5C set in 2003. We should also see balmy average temperatures throughout June and July making for a consistently summery summer. To show the difference between the Positive Weather Solutions’ (PWS) and the Met Office’s predictions we can look back at previous forecasts, for example, last year the Met Office predicted a hot summer whereas PWS predicted a summer with periods of thunder storms and rain. Another example is the Met Office’s prediction that this winter had a one in seven chance of a chilly winter, whereas PWS were correct in stating that we would have a white Christmas and a big freeze that would last until March. So with these results we certainly hope that their predicting powers continue as a hot summer would be wonderful and also a brilliant time to rent out a holiday cottage in the UK. If your tempted, browse cottages at our main site here. This entry was posted on March 22, 2010, 10:46 pm and is filed under Coast, Cottages Search, Weather. You can follow any responses to this entry through RSS 2.0. You can leave a response, or trackback from your own site. Ah, I really hope it will be – this winter’s been going on too long! Oh, how I love the idea of spending the whole summer at a beach…Wish I could hibernate now, right at this moment, and just reconnect with the sea & sun!